Coverage: Marketing AT&T 4G LTE. AT&T claims to have the fastest download data speeds of any wireless service. However, most customers still have 3G only phones. Before you purchase a 4G phone beware of the poor batter life issues. This is one of the many reasons why the iPhone 4G LTE launch has been delayed. AT&T took a public beating years ago with their poor network planning with the iPhone 3G roll-out not realizing how much capacity they would need. It appears they are taking their time in 2012 to launch. Most of the Eastern United States and the majority of the south have AT&T 3G coverage and 4G now reaches 2000 cities. A good portion of the west coast is covered or soon will be, but the mountain time zone shows vast areas with no coverage at all. If you live in mountains, hilly areas or areas with lots of structure or trees you might want to look closely at the map before you choose a wireless plan with AT&T. AT&T has had considerable problems with network congestions due to the popularity of the iPhone data usage but is adding capacity in many major cities to improve it. AT&T also seems to be taking a leadership positing and is heavily investing in its new Microcell technology or more commonly known in the industry as "femtocells". These are small mini cell phone towers which provide route voice traffic and 3G data through broadband landlines to improve in-building coverage. Plans: AT&T Wireless offers several plans ranging from pre-paid, family plans, and individual plans but most people I know using the carrier are corporate customers. Blackberry and iPhone are the two reasons that most people I know are still using the carrier which seems to charge a 30% premium for voice and data that is unjustified as well. Plans come with a free basic phone that is subsidized by a contract, but you are allowed to upgrade for a price if you choose. Plans available below. Click here to review AT&T & Verizon shared data plans. This carrier offers unlimited calling plans. 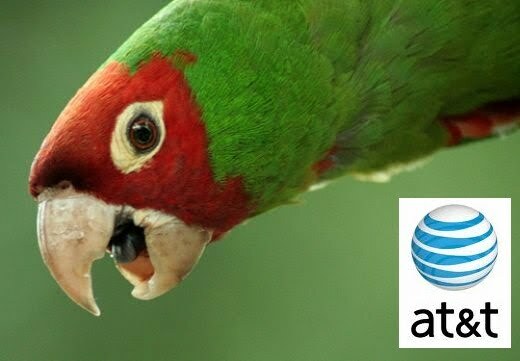 GSM carrier, AT&T offers extensive international roaming. Starting to roll out enhanced in-building coverage with its' Microcell / femtocell product. AT&T has a history of picking up the hottest phones soon after their release date. 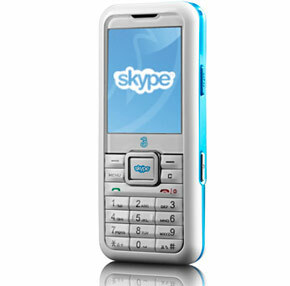 It was the first carrier to offer the Motorola Razr and is the exclusive provider of the Apple iPhone. Every carrier claims they have the best network, and AT&T promotes that independent studies (that are unnamed) have shown that it has the fastest download speeds of any carrier. We recommended you monitor your text messaging usage closely and get on an unlimited plan so you don't get charged the outrageous .25 cents per message if you go over. 4G networks are limited to metropolitan areas of 2000 cities. Feedback is always welcome. Please submit your comments below. Coverage: Verizon Wireless promotes itself as the most reliable network with their annoying commercials "can you hear me now" and especially their commercial that has violated our copyright and trademark "dead zones". Verizon Wireless might have slightly better connectivity indoors and call quality but it will cost you a 30% premium which may or may not be justified. Like other carriers, California, Colorado, Nevada and the mountain states have a lot of dead zones. There are several other small pockets throughout the nation, where extended service (translate this to service you pay extra for) is available, but there are also lots of places where you won't be able to make a call. Click on our map on the right for more detail. If you travel by car quite often check the coverage areas carefully before you sign on with Verizon. Verizon works on the CDMA network for 3G and is rolling out a 4G LTE network. Before purchasing a 4G phone beware of the short battery life. Most of Verizon phones can't be used in Europe. If you use your phone indoors Verizon offers a network extender 3G femtocell that will help you extend coverage in a dead zone. Plans: With plans ranging from pre-paid, family plans, individual and business plans, they also offer several to meet your calling needs. They do offer a free basic phone with most plans, but if you want anything that uses data, web or video, you have to pay for it yourself. Many of the plans charge roaming rates when you call outside your service area. The good news is that you can make a call from out of state, but the bad news is you will pay a different rate for that call than you will from calls made in your coverage area. Plans available: Compare Verizon shared data plans. Its Friends & Family option offers unlimited calling to a select group of numbers, even landlines. Claims to have the largest 3G & 4G Coverage network nationwide. Verizon claims it has the most reliable network nationwide, and the network quality has been rated highly in consumer and analyst studies. As a CDMA carrier, Verizon's international coverage is limited to a handful of countries but it offers dual-mode CDMA/GSM handsets. Small discount if you have Verizon FIOS as your TV, Home Phone and Internet provide and bundle your cell phone as their Quad play. Launching LTE has their 4G platform. 3G femtocell network extender available for a monthly fee. Coverage: T-Mobile's coverage can be spotty in a few areas around the United States and Mexico, but not as bad as most people proclaim it to be. Their features and flexibility far outweigh the lack of connectivity in most areas and provide the most value data plans. If you don't have coverage in many areas simply make calls through T-Mobile's WiFi android app on some smartphones. This is huge so you don't if you make a lot of calls indoors in remote plces. If you live in a major metropolitan area it is likely you will have comparable coverage to AT&T and Verizon 3G in most areas. One benefit of being a smaller carrier means you are likely competing against less customers for network capacity. T-Mobile now has the best 4G (HSPA+) coverage and its great to be a customer with fewer people competing for coverage on the HSPA+ network. The difference between 3G HSPA+ and 4G LTE is not that significant in my opinion if you are not downloading video. T-Mobile does not currently have a plan for LTE. Nevada and some of the mountain states are some notable dead zones in their coverage network and even Northern California and Oregon have quite a few miles where service is not available. T-Mobile has network coverage in every state except Alaska, reception in rural areas can be spotty. Also, as with all carriers, reception will vary due to location. International coverage is available in more than 187 countries.Their website does have a nice feature that allows you to check coverage areas by inputting your zip code and overlaps nicely with dead zones reported on our map on the right. If you travel a lot, they do have international service options, but it will cost you as roaming charges do apply. Plans: T-Mobile leads these carriers in free minutes and value now offering unlimited plans without long term contracts. Prepaid cards are affordable if you only want a short term plan. For the money, they offer the most free minutes of any plan and likely the most value depending on where you live. T-Mobile offers more plans that are typically less expensive, particularly for Internet access, text and multimedia messaging services. They offer several plans including business plans, pre-paid, family and individual plans. They do offer free phones subsidized phones, including camera phones, but if you want to choose a different phone than the one they offer you will have to pay for it. Unlimited data plans still exist for some customers grandfathered. T-Mobile is the only major carrier not to offer push-to-talk services. Has 3G Coverage now in most cities. 4G LTE plans will come soon but 3G HSPA+ is plenty fast. T-Mobile has the Android phone with unlimited data plans. We highly recommend it! How can you be sure you'll get good coverage in your neighborhood? Arguably, the most important factor in choosing a cell-phone carrier is whether you'll get good reception in the places you spend the most time: home and work. Sure, Verizon, T-Mobile, AT&T and Sprint publish general coverage maps, but can they tell you if you'll be able to make calls from YOUR house, street or office? Carrier coverage maps can determine the signal strength in your region, city and zip code, but can't get much more specific than that. You're also depending on the carrier, not actual users of the service, to give you this information. So how can you get more granular than that? Ask friends and neighbors. Do your own informal poll of people in your area. Those who live and work in your neighborhood can tell you how frequently they experience outages, busy networks or dropped calls on a particular carrier. Ask your co-workers the same questions. CellReception.com and GotReception.com help you locate cell towers in your neighborhood, a way to potentially predict signal strength. However, locating cell phone towers is becoming less important as new technology is rolled out like femtocells and UMA / SIP phones that enhance signals over broadband. Navigating and understanding what to interpret from the data on these maps is also somewhat confusing. Take advantage of return policies. None of the online tools are likely to help you if they don't display any information for your area. In that case, the best way to determine cell coverage is to actually try out a cell phone in a variety of locations. Granted, this type of trial-and-error approach is time consuming, but it's the only way to definitively tell what kind of reception you can get in your living room. All major carriers have grace periods so you can try out the service, but policies are not all the same, and if you don't act quickly, you may be stuck for the activation fee. If you miss the grace periods specified in the table, early termination fees will apply, and can be very high ($150 to $200). Here is a breakdown of the four largest national carriers. Is it the phone or the service? There's no way of knowing if one cell phone model will give you better reception than another. If you're getting poor or no reception in your backyard, it's more likely to be a service issue. In addition, carriers typically charge a restocking fee (about $35) for exchanges, even within the grace period. Jon Stewart Takes On "Net Neutrality"
STEWART: The "Internet Freedom Act of 2009." Now I know it sounds like that bill is the opposite of what its name implies in the way that, say, George Bush's "Clear Skies Act" gutted environmental regulations or Larry Craig's "No Handjobs For Me, Thanks Act" -- which oddly enough allocated a million dollars in federal funding for... and I'm quoting here, "handjobs for Larry Craig." But it's not! What McCain is proposing is that AT&T and Verizon be given "freedom" to control what information passes through the Internet. Information like: John McCain is the number one recipient of donations from the telecom industry and its lobbyists for the past three years, that I looked up on the Google, and it loaded pretty fast! As Stewart points out, there's a hidden motive behind everyone who promotes net neutrality! And that is, naturally, advancing a radical socialist agenda by controlling the Internet! Set the telecoms free! Surely we can trust them! RadioShack third-quarter profits were down 24 percent but the company benefited from better-than-expected sales, some of which was attributed to the company's introduction of Verizon Wireless to its Sam's Club kiosks. In September RadioShack announced it will introduce Verizon Wireless in neary 450 Sam's Club wireless kiosks that it operates nationwide. Verizon -- the largest U.S. wireless carrier with about 80 million subscribers -- will make its hand-held devices and services available through Sam's Club wireless kiosks operated by RadioShack effective Oct. 1. Radio Shack’s Kiosk Operations division is also launching their BullsEye Mobile Solutions inside of Target stores. Roll out begins in California with 104 stores. Nationwide roll-out total locations inside of Target is expected to be 1100 to 1500 locations by end of 2010, with eventually leading to a total of 1800 retail locations, including locations inside of Sam’s club. The Target locations will consist of three carriers which are Verizon, AT&T and T-Mobile. In addition, Radio Shack is already inside of Sam’s club locations but with one diffference; an additional carrier, Sprint are carried at the Sam’s club locations. Pricing will be extremely competitive with Best Buy and other retail locations. Specifically, RadioShack reported a net income of $37.4 million, down from a net income of $49.1 million in third-quarter 2008. Sales from the company's 1,300 RadioShack stores dropped 15.7 percent and online sales fell 5.1 percent from the same quarter a year ago. Wireless represents more than one-third of RadioShack's total sales. Company executives said that there was some uptick toward the end of the quarter because of netbook sales and other mobile products. Company executives said RadioShack benefited from having a full range of mobile products--the retailer recently added T-Mobile and Verizon Wireless to a lineup that includes Sprint Nextel and AT&T Mobility. RadioShack is facing increased competition in mobile from the likes of Best Buy Mobile and Wal-Mart Mobile. Best Buy is expanding its Best Buy Mobile stores to more markets, and Wal-Mart recently started selling TracFone's prepaid service Straight Talk nationwide. These retailers may soon be jumping on the consumer generated coverage map bandwagon, realizing their consumers are tired of looking at carrier generated coverage maps from 50,000 feet. We think is most important for consumer generated coverage maps to reflect real customer experiences indoors and outdoors. Its also, very important to have granular data down to the individual house, neighborhood, street and zip code level. Many of these retailers are trying to figure out what data is important and how they can the acquire it. Keep your eyes open for mobile retailers who may soon begin offering beta map products soon. Cell phones can use your home's wireless internet connection to make and receive calls. It's a handy technology if the cell phone coverage in and around your house is in a dead zone. Phones will automatically select Wifi if it's there but will require a compromise between economy and mobility. For example, Voice over Wifi offers potentially free service but is only available within the coverage area of a Wifi Access Point and currently will not allow you to hop between networks. VoIP mobile applications that may be compatible with your phone's operating system. UMA - the Unlicensed Mobile Access Generic Access Network, designed in response to Skype by a group of carriers to allow VoIP to run over the GSM cellular backbone. See Wikipedia VoIP software platforms for more details. The challenge for the mobile operator industry is to deliver the benefits and innovations of IP without losing control of the network service. Users like the Internet to be free and high speed without extra charges for browsing the internet. VoIP services challenges the most valuable service in the telecommunications industry — voice — and threatens to change the nature of the global communications industry. Net neutrality is an important issue with the FCC for these reasons. At the beginning of last week, the CEOs of Skype, Sony Electronics, Amazon, Google, Facebook, Twitter, and other Internet, telecommunications and media firms published an open letter to the US Federal Communications Commission to support the proposal to introduce rules to protect the open Internet, i.e. users’ right to access and use what they want online, which we applauded earlier. Also, in a joint blog posting released late Wednesday, US network operator Verizon Wireless CEO Lowell McAdam and Google CEO Eric Schmidt said they think it’s important for the Internet to remain an unrestricted and open platform. On Wednesday the Canadian authorities issued a framework by which they will judge whether Internet service providers are discriminating against certain kinds of traffic and content. Then on Thursday, the FCC voted 3 to 2 in favour of developing into formal rules a set of six Internet Principles, designed to safeguard the open Internet. And in Europe? 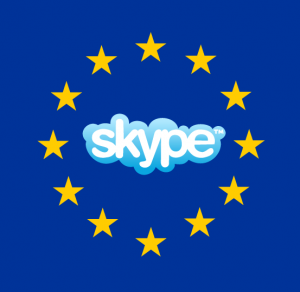 Well, Skype is of course still arbitrarily blocked by a number of mobile operators, across several EU countries. So are thousands of VoIP and Peer-to-Peer applications. We hear however that the European Commission has circulated a draft declaration on net Neutrality which mentions the ‘high importance’ it attaches to ‘preserving the open and neutral character of the Internet, taking full account of the will of the co-legislators now to enshrine net neutrality as a policy objective and regulatory principle’. The Commission goes on to promise a review of the problem will be carried out, with recommendations made to the European Parliament by late 2010, monitoring the market in the meantime and stamping out on abuses using its existing powers. This act of faith by the EU for an open Internet is welcome. But so far, we’ve seen no action by the European authorities to stamp out these blatant abuses of what Internet users can do online. The excuse that ‘net neutrality is an American problem’ just doesn’t wash anymore; it’s too convenient and simply not true, as millions of users and thousands of VoIP, peer-to-peer or video streaming innovators can attest because they are blocked or their traffic degraded by operators throughout Europe, just like Skype. The fact that politicians haven’t heard about their problems is because these guys are just too small – they don’t have armies of lobbyists like the big operators do. The thousands of innovators that depend on an open Internet to continue to innovate and put their products, applications, services and content online cannot wait years for lengthy political debates to take place, or for the market to ‘correct itself’ – they’ll have gone bankrupt before then. Users cannot wait either, before they can freely use what they have paid for – full Internet access, whether it’s fixed or mobile. People started complaining about high costs of calling from abroad on mobile phones in the late 1990s – it took 10 years and the market didn’t correct itself so we ended up with the so-called Roaming Regulation to force prices down. Now, with the threat to the open Internet that is on our hands, we cannot wait: the European Commission should be bold and use any of its powers (such as the new Roaming Regulation or its mandate to preserve the functioning of the internal European market), to stamp out abuse, at the earliest opportunity. If it needs more powers, then the Commission should make legislative proposals to get them, urgently. And remember: you can sign the open Internet petition for Europe, and feel free to talk to your parliamentarians and write to your regulators to protect Your Internet. 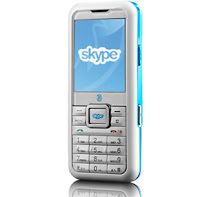 Skype and other VoIP applications will undoubtedly help fill the millions around the World fix poor in-building cell phone reception and communicate globally. Here is where you’ll be able to keep up with thoughts and insights from Skype people. As expected, the FCC voted to move forward with a proposal to codify its four net neutrality principles and add non-discrimination and transparency rules to the regulations that will govern both wireless and wired broadband networks. The commission voted 5-0 to begin the rule-making process. The next steps will likely involve months of debate now that the FCC is asked for comments on the proposal. Initial comments are due Jan. 14. Hours later, Sen. John McCain (R-Ariz.) introduced legislation aimed at prohibiting the FCC from enacting rules that would regulate access to the Internet. The legislation, called 'The Internet Freedom Act of 2009,' aimed at keeping the Internet from being regulated by the government. 'Keeping businesses free from oppressive regulations is the best stimulus for the current economy,' he said. The two Republican FCC commissioners, Robert McDowell and Meredith Attwell Baker, dissented in part on last week's vote, arguing that the commission should proceed with its eyes open to the unintended consequences of the new regulations. They said they were unsure that there was enough of a problem to warrant new regulations, and questioned whether the FCC had the authority to impose the new rules. The GOP commissioners' dissent essentially signals that they intend to move forward with the action, but disagree with the current language in the proposal. As promised by Chairman Julius Genachowski, the proposed rules governing wireless networks took into account that wireless networks have different network architectures, market structures, patterns of consumer usage and regulatory history than wired networks. The draft rules will seek comment on how, in what time frames and to what extent the rules should apply to wireless. Moreover, another points of debate will likely center on what "reasonable network management" means as it pertains to an operator's ability to manage network traffic (based on tiered access?). The draft rules say that such management includes practices that reduce or mitigate network congestion, address traffic that is unlawful, unwanted by users or deemed harmful. The commission staff also noted that nothing in the rules will prohibit service providers from delivering emergency communications. Additionally, the notice seeks comment on how to define managed services, such as subscription video services, telemedicine or smart grids, and how the new policies should apply to them. The commission also is going to form a technical outreach group to discuss network management issues and all other issues that have technical ramifications. 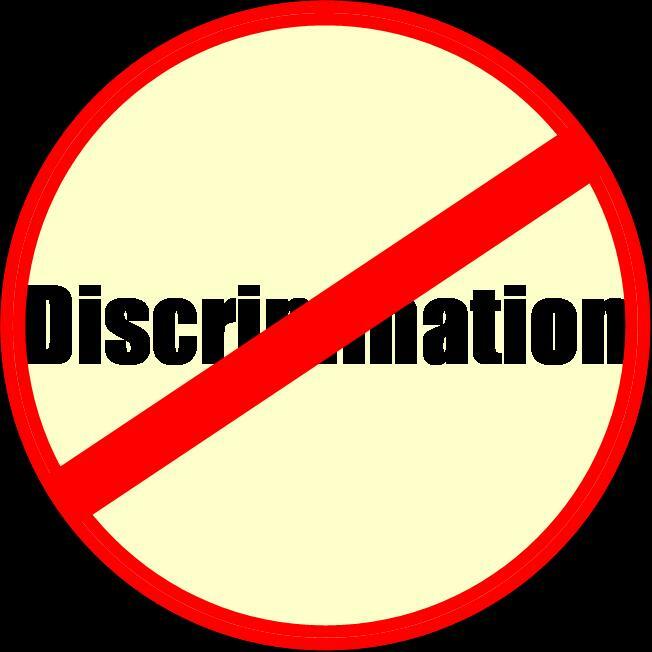 Instances of data discrimination listed on Wikipedia from 2004-2007 that unfortunately cause hardship for other applications that get grouped into the same categories and get blocked. In 2004, a small North Carolina telecom company, Madison River Communications, blocked their DSL customers from using the Vonage VoIP service. Service was restored after the Federal Communications Commission (FCC) intervened and entered into a consent decree that had Madison River pay a fine of $15,000. In 2005, Canadian telephone giant Telus blocked access to voices-for-change.ca, a website supporting the company's labour union during a labour dispute, as well as over 600 other websites, for about sixteen hours after pictures were posted on the website of employees crossing the picket line. In April 2006, Time Warner's AOL (America On Line) blocked all e-mails that mentioned dearaol.com, an advocacy campaign opposing the company's pay-to-send e-mail scheme. An AOL spokesman called the issue an unintentional glitch. In February 2006, some of Cox Cable's customers were unable to access Craig's List because of a confluence of a software bug in the Authentium personal firewall distributed by Cox Cable to improve customers' security and the way that Craigslist had their servers misconfigured. Save the Internet said this was an intentional act on the part of Cox Cable to protect classified ad services offered by its partners. The issue was resolved by correction of the software as well as a change in the network configuration used by Craig's List. Craig's List founder Craig Newmark stated that he believed the blocking was unintentional. In September 2007, Verizon Wireless prevented a pro-choice organization from sending text messages to its members coordinating a public demonstration, despite the fact that the intended recipients had explicitly signed up to receive such messages. In October 2007, Comcast was found to be preventing or at least severely delaying uploads on BitTorrent. COMMENTARY: All this seems great in theory but it still seems to indicate that tiered network access is coming and carriers are still going to largely be able to control and discriminate packets across their network. Is that good for companies who want open access like Skype, Google, Slingbox who don't control the pipes? I suppose it depends upon which tier of access they end up on. Hopefully its the top tier.
" Well, it's not much, but AT&T Mobility CEO Ralph de la Vega doesn't exactly have to go too far out on a limb to attract attention when he's talking about something as big as an end to iPhone exclusivity. His latest, and seemingly most extensive ruminations on the matter came during a conference call with analysts this week, where he reportedly said that AT&T has a "legacy of having a great portfolio...that will continue after the iPhone is no longer exclusive to us," and that he thinks AT&T's ability to drive results "will continue after the iPhone." He did seem to dial things back a bit later in the call, however, switching to language like "even if we lose exclusivity" instead of "after the iPhone," and going on to extol the virtues of the iPhone, noting that "others will try to emulate them [Apple], but that device by far is the best in terms of ease of use." We would like to see exclusivity end with all phones in the U.S. similar to Europe. Find the best phone and pick the best carrier with coverage in your area. AT&T Mobility CEO suggests iPhone exclusivity will end... sometime originally appeared on Engadget on Fri, 23 Oct 2009 18:21:00 EST. Please see our terms for use of feeds. If France is auditing their coverage maps why doesn't the U.S. via FCC, Deadcellzones.com, Telephia (Now Nielsen Mobile), PriMetrica or GWS Solutions? When 66% of the market is controlled by 2 companies AT&T and Verizon they can push around the FCC like a rag doll. This has clearly been happening for the last 10 years and about to change with the new Obama administration at the controls of the FCC. However, it is clear an audit of coverage maps needs to be carried out by the private sector who is best at creating a business out of this and there are a number of big players entering the wireless market who would like to see this happen. France’s national telecoms watchdog Arcep has published the results of its 2008 survey on the reliability of GSM coverage maps provided by incumbent mobile operators Orange France, SFR and Bouygues Telecom. The regulator’s audit found that the maps are consistent with more than 96.5% of measurements made in the field. The reliability of the operators’ maps is considered generally good at the national level, but must be improved in certain regions (or cantons). With regard to these cantons, Arcep has asked the incumbents to revise their maps this year, and to take further steps in 2009 as required by the provisions of the Decision No 2007-0178. The watchdog has also set out in its decision No 2009-0200 (dated 10 March 2009), a new list of 251 townships to be audited by operators in the current year. The investigation should be completed late October 2009, with results made available in early 2010.